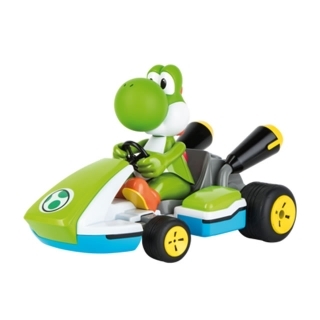 Yoshi™ keeps his best friend, Mario™, company this racing season as well. 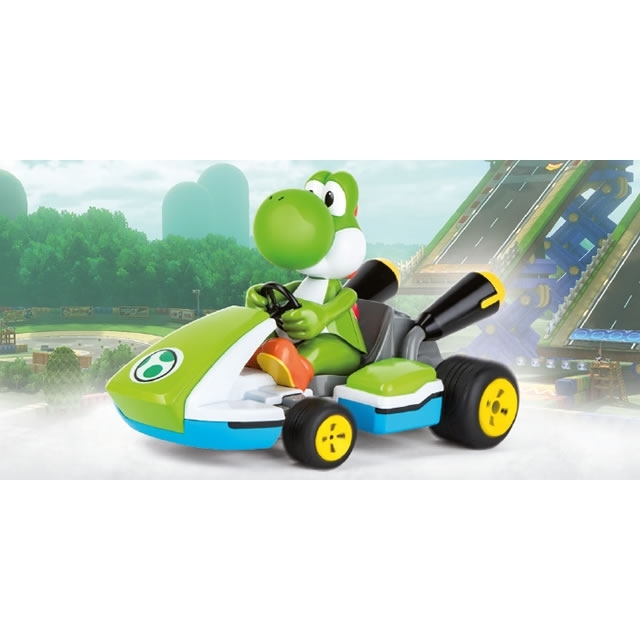 His kart now also adds authentic Mario Kart™ racing atmosphere to your children's playroom. These incredibly detailed karts and figures are quite deceptive in the photos of their size. At a huge 35cm in length these are a major step up from your typical palm sized toy. With authentic licensed details and logos, as well as a very accurate figure that tilts side to side when turning, these radio control karts look the part when racing around! The rear wheels are powered by an electric motor and LiIon battery combination giving you up to 40 minutes of run time with only 80 minutes of charging time. 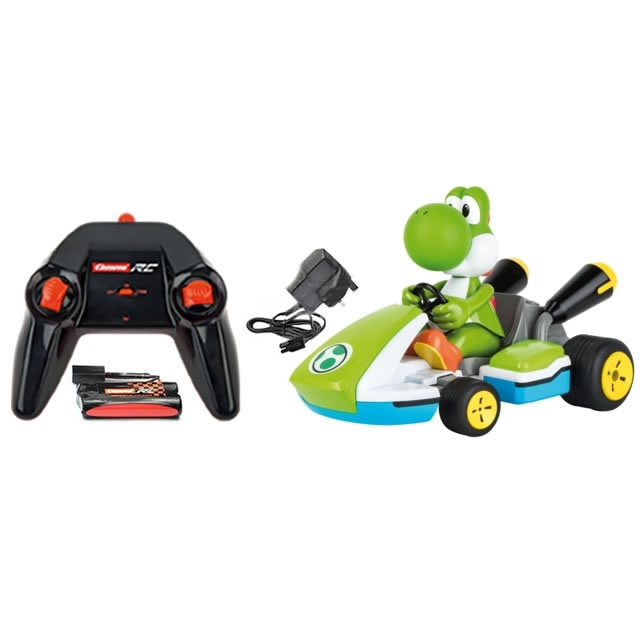 The kart is controlled by an incredibly easy-to-use 2.4GHz transmitter with technology that allows you to run up to 16 varied karts at the same time with no interference. Supplied assembled and ready to run with all you need, these Mario Karts are an amazing present for young children and even adults that remember their Mario Karting days.